Finding the best Lean Six Sigma Green Belt certification training course can make or break an aspiring professional’s career. 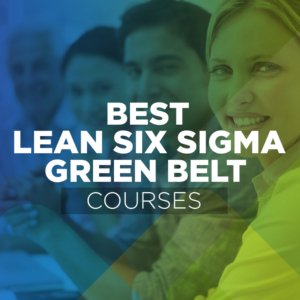 With Lean Six Sigma becoming more and more prevalent in project management and process quality, trying to find the best Green Belt training program is critical. We’ve done the research and broken down the six best Lean Six Sigma Green Belt study courses available for students to take online. The chart below will help students find the course that best fits their individuals needs by quickly comparing the different features side-by-side. Go ahead and see for yourself, and then keep reading to learn more about each course below. 100% Pass Rate: You’re guaranteed to pass the certification of this course. Not only is the material top-notch, it’s open book. foʻi, you can take the exam as many times as you like! Refund Policy: Because this program has an open book policy, refunds are only processed up to 30 days and if a significant portion of the course is unused. Ae peitai, you won’t need a refund policy that guarantees you can retake the course or get your money back if you fail the exam- it has a 100% course pass rate! Line pito i lalo: GoLeanSixSigma is a terrific option for Lean Six Sigma students, especially if they’re interested in testing the waters with a Green Belt certification For those who want a cure for the common prep course, the interactive story of Bahama Bistro that GoLeanSixSigma uses as a vehicle to teach students the finer points of project management is certain to be a breath of fresh air. Line pito i lalo: There are many reasons why Lean Sigma Corporation offers the best online Lean Six Sigma Black Belt course today. From their excellent support team to their wide range of learning material, enrolled students will be on the right track to success. Exam: A perk of getting your Lean Six Sigma certification with MSI is the opportunity to use your notes during the exam. The notes do not include their online resources but any that you took while studying will work. This doesn’t mean you won’t have to learn the material, but it will help to reduce any testing anxiety and give you a boost in your problem areas. Training Materials: Everything you need to take the course, study, and pass the exam is bundled together. There are no hidden fees (unlike many other courses), and you won’t need to buy extra study guides or textbooks. Everything is included, even the exam itself. You also have 30 days from the time of purchase to decide if you want to continue the course or get a refund. FREE White Belt Course : Want to try MSI before you buy? Then definitely check out their FREE White Belt course. It only takes 20 minutes and ends with a 15 question certification exam. This is a great way to introduce the methodologies of LSS, especially if you think a current or prospective employer will offer in-house LSS training. Line pito i lalo: MSI offers students low prices, a convenient trial offer, and a bonus certification exam in one affordably-priced package. It’s clearly one of the best options available for cash-strapped students who want to learn more about project management. Industry Specific: One of the best parts of Lean Six Sigma certification through SimpliLearn is the ability to focus on your industry specific niche. Each industry uses different tool-kits for implementation and SimpliLearn is unique in that they cater to your specific needs rather than a blanket approach to learning. Real Projects Simplilearn puts your training to the test with real projects that give you a truly exceptional experience for putting the principles of Lean Six Sigma to work. Your real projects that are part of your course can be part of a current organization or business, otherwise you’ll be inserted into a live project as part of their LSS team. No Included Exam Fee: Even if you get the full Lean Six Sigma training and Certification process, taking you from introduction to Green Belt to Black Belt, you’ll have to pay the price of the exam. Line pito i lalo: SimpliLearn provides engaging and effective study materials that are sure to provide what advanced students are looking for, whether they wish to become certified for the first time or brush up on the basics. Ample Study Time: Regardless as to what GreyCampus Lean Six Sigma package is chosen, students who enroll will be guaranteed a thorough lesson plan that spends plenty of time going over the material. For the Lean Six Sigma Black Belt training, even the least expensive package offers over 200 hours of study time. Private Tutoring: For the most part, students should be able to get everything they need from one of the 3-tiered packages GreyCampus offers for their Lean Six Sigma prep course. Ae peitai, they also provide the option for small groups of students to reach out to them and arrange a private tutoring session instead. Professional Accreditation: GreyCampus’ Lean Six Sigma review courses are all certified by the International Association of Six Sigma Certification for their ability to educate students on the methods of practicing this ideology at the professional level. This is a fact that should provide prospective students with confidence that their time and money will be well spent on this course. Customer Support: Although the need is rare, there have been occasions where enrolled students needed to contact GreyCampus’ support team to resolve problems. 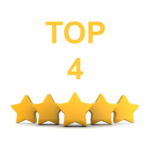 In these cases, several online reviewers have stated that they had a tough time attempting to resolve these issues with poor customer support. Line pito i lalo: GreyCampus is great for beginners who know literally nothing about Lean Six Sigma. Their study materials and private tutoring options will handily guide neophyte project managers from the first course all the way to Green Belt certification. Metotia umia o DMAIC: Developed to aid the DMAIC principle of Six Sigma, the Pyzdek breaks down each aspect of DMAIC (faʻamanino, fua, fuafua, faaleleia, pule) into mini, laasaga e fiafia i le sini. This makes project completion much more likely and helps reduce the traditional pitfalls of Six Sigma practitioners. Tusipasi faavae-galuega: The Pyzdek Institute offers a project-based certification that is both widely recognized among companies and unique in itself. If you are unemployed, galue Pyzdek ma faalapotopotoga polofiti e tuuina tusipasi galuega tulaga matai mo i latou i le vasega fusi Black. 1 Tausaga Laisene Minitab: One of the best tools for implementing Lean Six Sigma methodologies is Minitab, an analytical tool with great interactive features. Ma i luga o le faamauina i le o le fusi Green po o se mataupu faalagolago ono Sigma le fusi Black, you get a 12 month license to Minitab. A o toetoe lava taua mo Sigma ono faalagolago, Minitab is a very useful tool for other projects as well. Fuafuaga totogiina: The Pyzdek Lean Six Sigma courses are offered at competitive rates and are inline with their peers. However they realize it’s expensive nonetheless and offer various payment plan options. That way you can get started today. Line pito i lalo: Pyzdek approaches Lean Six Sigma education in a fundamentally sound yet dramatically different manner when compared to its peers. This makes it ideal for those students who want to try something different with their prep course of choice.